Comedy and Nazis? Must be a Ben Edlund episode. This week, the boys started exploring the Men of Letters archives, they had a case that spanned seventy years, and we got to see what happiness looks like on a Winchester face. It’s been so long, I was beginning to forget. While going through the Men of Letters files, Sam digs up information on The Judah Initiative and their enemy, the Thule Society. One thing I have always loved about the show is that it strives to base the cases in legends that we may have heard of. The Thule Society is yet another example of that. A real German occultist group, the Thule Society sponsored what would later become the Nazi Party. This version of the group was filled with Nazi necromancers, seeking out the ability to return from the dead and strike out again and again for the German initiative. Throw in a rabbi who got in their way, played by beloved Hal Linden, and a grandson that inherits his very own Golem, played by former Lurch John De Santis, and you have an interesting case with plenty of one-liners. It’s interesting that we got to see the boys a bit from an outsider perspective. For those who aren’t familiar with the supernatural, Sam and Dean’s actions align more with psychopaths than heroes. But we’re in the know and are well aware that, without the Winchesters, this world would be a whole lot worse off. Good thing the boys are always there to save us. The case was, for me, secondary to the Men of Letters storyline and what it has introduced. Dean and Sam have never had a permanent home outside of the car. The Impala has housed them, protected them, and connected them to their past and their future. Nothing can replace Baby. However, the Men of Letters bat cave might come in a pretty close second! 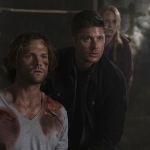 Despite the request to cast aside the key forever and not go digging into the past, Sam and Dean are not about to let all that supernatural knowledge go to waste. 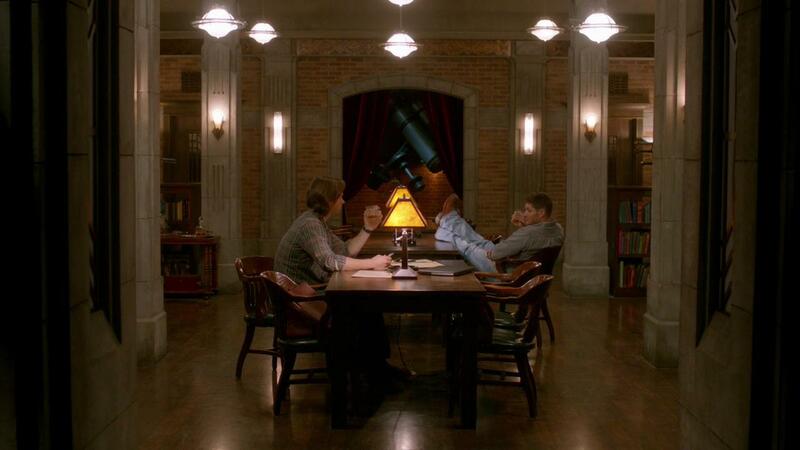 The Men of Letters built up an archive of information, housed in the coolest hang-out you’ve ever seen, and the Winchesters are the last remaining ties to the secret organization. It’s their birthright. Only seems fair they get a home out of the deal. And what a home it is. The sheer glee and wonder that we saw on the boys’ faces when they went exploring the place made my heart ache for them. Sam has a library that surpasses anything he’s ever known and it’s all his to explore and catalog and read through until his heart’s content. Dean has rooms upon rooms of nifty gadgets, weaponry, and supernatural playthings that he can discover. They are like two kids who just got Christmas, a place to call home and a sense of belonging, and they most definitely deserve it. But with their new secret hang-out, there come questions. Is there something dangerous inside that the Men of Letters didn’t want discovered? This is a very large building that has sat vacant for decades. Why hadn’t anyone tried to break in prior, even without the key? And, as Sam questioned, how does it still have electricity and running water? Are there magical protection elements at play or something more sinister? One thing’s for sure, the introduction of the bat cave opens up so many new storylines that the show could run on this for years and never reach the end of the possibilities. That is, if the place remains standing. Supernatural has always been a road show, and I am okay with that. Sam and Dean, riding around in the Impala and checking into random motels as they investigate new cases. Every home-base that they could have had, from The Roadhouse to Bobby’s house, has been destroyed and sent them on even more journeys to save those that needed saving. But now they boys have something that they can call their own. They have a permanent place that they can settle into between hunts, a place that no one else knows about, a potential home for the Winchester brothers. They need this, we need this, so I’m looking forward to seeing how they grow and change with the introduction of a home. I also like what the introduction of the Men of Letters destiny reveals about the boys themselves. For years, Dean has tried to live up to his father’s image of what a good hunter should be. He wanted to make John proud while keeping Sam safe, and he’s sacrificed himself many times in order to do so. 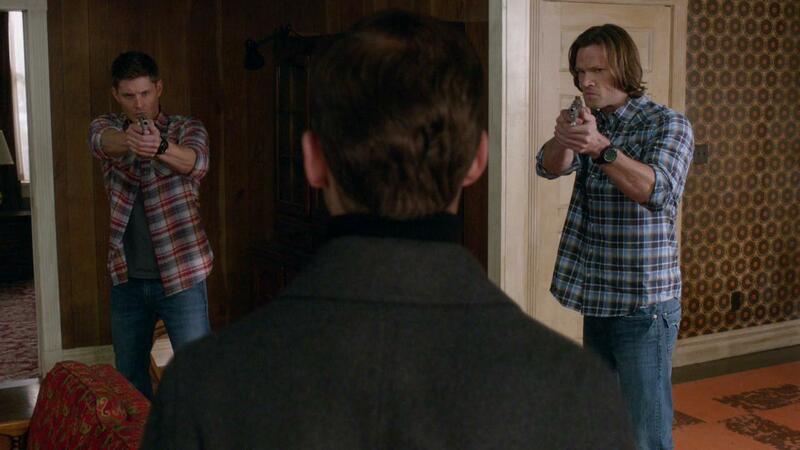 Sam, on the other hand, never quite lived up to John’s expectations of what their destinies should be. 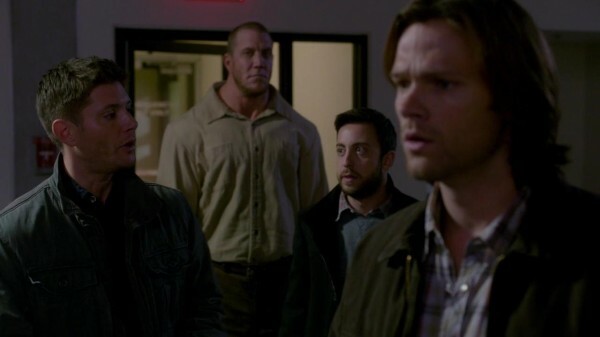 While John, and by extension Dean, were always on the hunt to save innocents from monsters and take revenge for Mary’s death, Sam just wanted to be normal. He wanted to go to school and do research, lose himself in knowledge and the understanding that comes from experiencing the world. In some ways, he was perhaps a disappointment to John for not living up to the ideal his father set forth. However, now that we’ve learned about the Men of Letters and how it was always John’s and then the boys’ destinies to become Watchers rather than Hunters, it makes so much more sense. Sam rebelled against his father’s wishes for him, sure, but in doing so he was unknowingly embracing what was his birthright all along. He was living up to the ideals of his grandfather and doing what he was always meant to do. Dean sees that, as does Sam, and they are finally where they need to be. 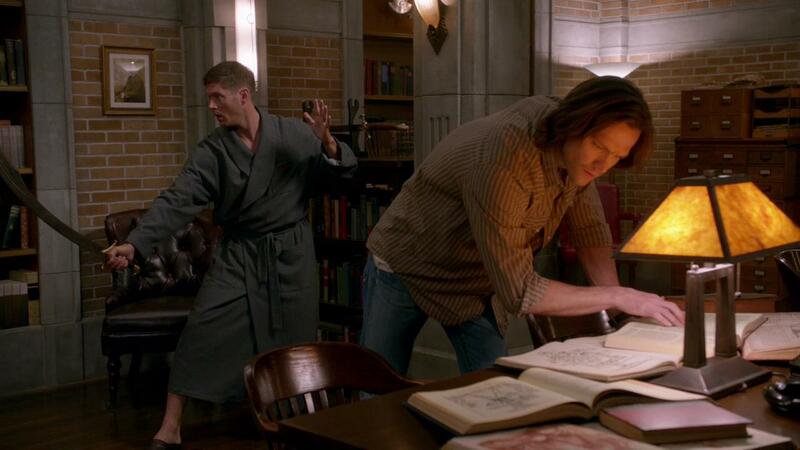 They are Winchesters, and as long as they’re around, the Hunter and Men of Letters histories will never die. I love your reviews, always have the words to express what I want to purchase myself understood. 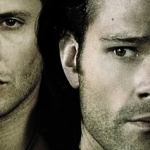 Excellent reflection on Sam and Dean.